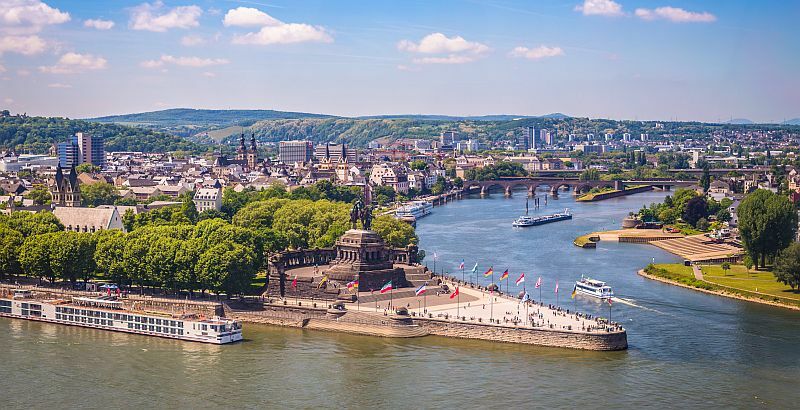 The 12th European LS-DYNA Conference will be held 14 - 16 May 2019, Koblenz, Germany. we would like to invite you cordially to the 12th European LS-DYNA Conference. This year the event will take place from 14 - 16 May in Koblenz, Germany. In the historical city, where the rivers Moselle and Rhine flow together, a first-class program with more than 200 presentations on all LS-DYNA applications awaits you. In addition to the technical presentations, which will again take place 8 times in parallel, the keynote presentations by renowned speakers from industry and academia prove the high quality of the conference. This year we are pleased to welcome Niclas Bränn­berg (NIO), Prof. Odd Sture Hopperstadt (NTNU), Johan Jergeus (Volvo), Prof. Peter Middendorf (University of Stuttgart), Mikael Palm (Husqvarna), Dr. Steven Peters (Daimler), Kishore Pydimarry (Honda), Ricardo Tejero de la Piedra (Opel), Dr. Tsuyoshi Yasuki (Toyota) as keynote speakers. Of course, the presentations of the developers from LSTC and DYNAmore are also again part of the program. The accompanying software and hardware exhibition offers the possibility to exchange your experiences with other users. Staff from DYNAmore will also be available to answer your questions and provide tips and tricks. The popular workshops on various topics complete this year’s agenda. In addition, we offer conference accompanying seminars, which are held by experienced trainers and can be booked separately. Conference participants receive a 10% discount on the training prices. We hope to have aroused your interest and look forward to welcoming you in Koblenz. Koblenz is a historic town in southwest Germany, which is considered the gateway to the Upper Middle Rhine Valley with its terraced vineyards and castle ruins. In the city centre, the Kaiser Wilhelm Monument marks the place where the Rhine and Moselle meet. A cable car takes you up to the Ehrenbreitstein fortress on a hill, which houses several museums and hosts cultural events. Further south along the river bank is the neo-Gothic Stolzenfels Castle with its gardens. 1) Registration before 1 April 2019. All prices plus VAT if applicable.